Kinditab leaks, with "mockup" visual. News weds. "Kindle Fire." Can't say that's the name we would've thrown together if given five minutes to dwell and assured that we'd take on absolutely no risk at all for it failing, but hey -- who are we to question Jeff Bezos? TechCrunch is keeping the Kindle tablet rumors fresh with a new helping of intel, hitting the wires just two days prior to the outfit's September 28th press event. According to the publication, "Fire" (mocked up above) was chosen in order to differentiate it from the e-ink siblings that'll sell alongside of it, and we're told to expect a mind-numbing amount of content deals to make it ever more attractive in a realm that iOS currently dominates. Moreover, a dual-core Texas Instruments OMAP chip is now being tipped, and if all goes well, the sub-$300 device should ship in November. Meanwhile, B&N engineers are reportedly toiling away on the Nook Color 2, and we wouldn't be shocked in the least to see it hurry into an announcement just to phunk with Amazon's flow. We'll be there live on Wednesday to break it all down -- water sprinklers in tow, naturally. 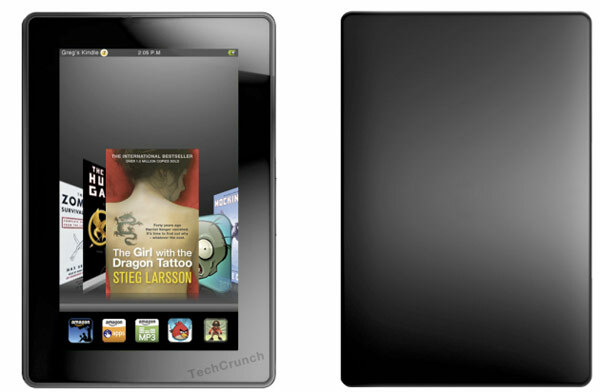 Update: gdgt is suggesting that there's a reason the Kindle Fire will look a lot like the PlayBook -- it's a good read, and it can be found here. Kindle Fire tablet purportedly on tap for Wednesday, set to ship in November originally appeared on Engadget on Mon, 26 Sep 2011 17:02:00 EDT. Please see our terms for use of feeds.